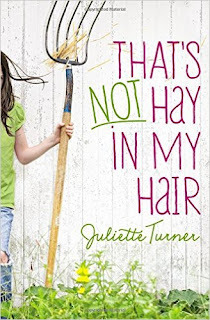 That's Not Hay in My Hair by Juliette Turner is an awesome book! Author Juliette Turner is a teenage author and I have to say I very much enjoy her writing style. My daughter and I absolutely love this book. We often think of moving to the country and with the help of this book we can imagine just a bit more of what all that would be like. Although now my daughter would like to move to the country even more because of all the adventures Juliette gets to experience. This is a perfect book for girls and I highly recommend it! You can find That's Not Hay in My Hair by Juliette Turner on Amazon, Barnes and Noble and other bookstores.